He has been one of Europe's leading bass player since the early 70-ties. Andersen started out as a member of the Jan Garbarek Quartet (67-73). The group also included Terje Rypdal and Jon Christensen. During the same period he also worked with Norwegian singer Karin Krog and played in the rhythm section for visiting American musicians such as; Phil Woods, Dexter Gordon, Hampton Hawes, Johnny Griffin, Sonny Rollins, and Chick Corea. He also worked with Don Cherry and George Russell in these years. In 1972-74, he visited New York several times and worked with the Stan Getz Quartet, Sam Rivers Trio, Sheila Jordan, Steve Kuhn and Paul Bley. 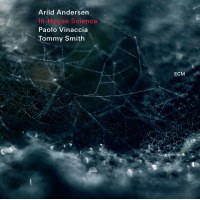 In 1974 Arild Andersen formed his own quartet. The band toured Scandinavia and Europe and recorded 3 albums for ECM with this band. He also had a band together with singer Radka Toneff in the late 70-ties and early 80-ties. 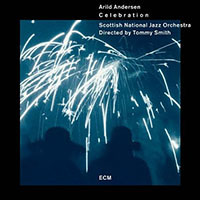 In 1980 Arild Andersen put together a band that included Kenny Wheeler,Paul Motian,and Steve Dobrogosz (Lifelines, ECM). In 1981 he had a band with Alphonse Mouzon, Bill Frisell and John Taylor (A Molde Concert, ECM). This band also toured Europe in 1983, this time with John Abercrombie on guitar. In 1982 he formed The Arild Andersen Quintet with Jon Christensen (dr) Jon Balke (p`), Tore Brunborg (sax), Nils Petter Molvaer (tp). The band changed name later to Masqualero. This band was in the forefront of European jazz for 10 years, the last years as quartet without piano. Masqualero toured the USA, Canada, East and West Europe and made four albums, one for the Norwegian label Odin and three for ECM. Three of the albums won the Norwegian Grammy award. 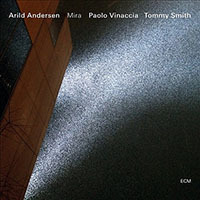 In 1993, Arild Andersen released a trio recording with Ralph Towner and Nana Vasconcelos, If You Look Far Enough on ECM. 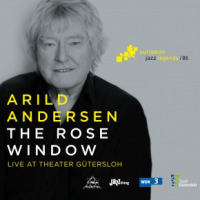 Over the last years Arild Andersen has also spent time investing the possibility of combining traditional Norwegian folk music with improvised music. In 1988, he started a collaboration with singer Kirsten Braaten Berg, one of the leading artists in Norwegian folk music. This lead to the successful work Sagn premiered in 1990 and performed more than 40 times including Town Hall, New York, Germany and Scandinavia. Sagn was recorded in 1991 on the Norwegian label Kirkelig Kulturverksted and later released on ECM. In 1993 Andersen premiered a new work called Arv, also recorded on Kirkelig Kulturverksted. In 1994 he wrote music for a theatre version on the Nobel prized trilogy Kristin Lavransdatter by Sigrid Undset. This also lead to several performances of the concert version of the music and a recording for Kirkelig Kulturverksted. Arild Andersens work  Hyperborean, commissioned by The Molde International Jazz Festival premiered in 95. This was a 9-piece band including the Norwegian string quartet Cikada. The music was recorded in October 96 and was released in September 1997 by ECM. In 1998 he formed a trio together with German trumpeter Markus Stockhausen and French percussion-player Patrice Heral. This trio + Terje Rypdal as a guest, made a CD called Karta, released in September 2000 by ECM. Andersen has also started a collaboration with English drummer John Marshall and the Greek piano player Vassilis Tsabroupolos. This trio released a CD called Achirana also on ECM. In 2004 the second trio CD The Triangle was released. In 2002 Andersen wrote 3 pieces for Jazz Trio (Stockhausen/Andersen/Heral) and Symphony Orchestra commisioned by Bergische Symphoniker premiered on March 2002 in Germany. This work was also performed with Stavanger Symphony Orchestra during the festival Maijazz 2003. In 2002, he recorded a CD 'The Sign' (Stunt Records ) with Danish piano player Carsten Dahl and Patrice Heral, percussion. Their latest CD 'Moon Water' was released January 2004. The group with Stockhausen and Heral also recorded in June 2003 with guitar player Ferenc Snetberger and their CD 'Joyosa' was released by Enja in March 2004. In April 2005 his work 'Electra' was released by ECM. This was originally written for the drama Electra by Sophocles commissioned by the Athens Cultural Olympic Commitee for the 2004 Olympic Games. In 2005 Enja released the CD 'Nomad' with the new Snetberger/Andersen/Vinaccia trio. Arild Andersen was Artist In Resident at The Molde International Jazzfestival 2005. All About Jazz musician pages are maintained by musicians, publicists and trusted members like you. Interested? Tell us why you would like to improve the Arild Andersen musician page.